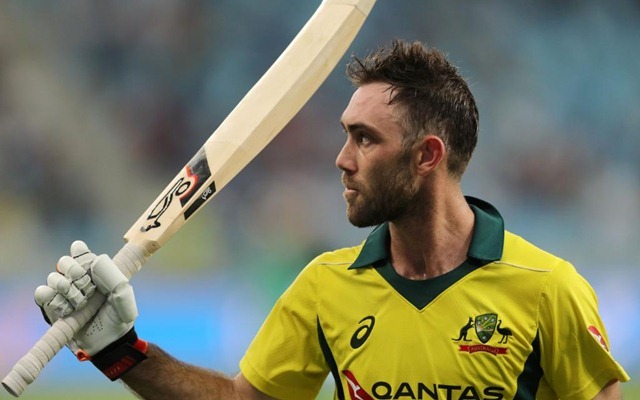 Australia head coach Justin Langer feels Glenn Maxwell could be his team’s answer to Virat Kohli, arguably the best batsman in the world right now. After a prolonged struggle post his heroics in the 2015 World Cup, Maxwell is finally showing signs of his former self with an added sense of maturity. With Australia looking to defend their World Cup title this summer, Maxwell’s reliable presence in the middle-order has boosted their chances. Just a couple of months ago, there were even doubts over whether Maxwell could make it to the World Cup. The Australian team’s decision to send him at number seven during the home series against India more or less made it clear that the team management did not have faith in him to assign him a bigger role. However, things have changed since then. He scored a remarkable century in the T20I against India to turn things around and has been in good form since then. In the ongoing series against Pakistan, he has already scored two match-winning fifties. In the third and fourth ODI, he scored 71 and 98 to help Australia not only win the series but also put them on the verge of completing a memorable whitewash. And as the World Cup draws near, Langer has challenged Maxwell to replicate Kohli. The former Australia opener feels Maxwell has the skill to match the Indian skipper. “The challenge for him is, and I’ve said this to him, we’ve just seen Virat Kohli, who is an extraordinarily talented player – he averages 60 in ODI cricket. He is a great player,” Langer was quoted as saying in ESPNcricinfo. “So there’s huge upside for him and while he keeps practicing with the purpose he’s got and winning games of cricket like he is, it’s great to have him,” he added. While only time will tell whether Maxwell lives up to his coach’s expectation or not, at the time being he is well behind Kohli. In his 99-game ODI career so far, Maxwell has hit just one ton while scoring 2,630 runs at an average of less than 32. On the other hand, Kohli already had 13 hundreds and an ODI average nearing 50 after 99 games. Currently, Kohli has scored over 10,000 runs with the help of 41 centuries and an average of almost 60.